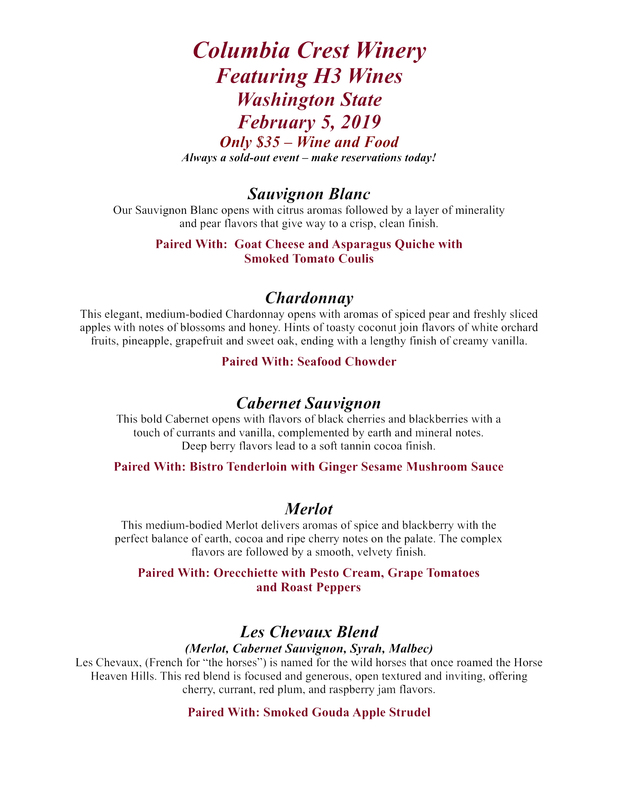 This February, we’re partnering with Columbia Crest Winery to highlight the range of their H3 Wines! On February 5th, you can enjoy a sampling of some our favorites. Along with a handcrafted 5-course meal to complement every sip. See what’s in store and be sure to make your reservation now!